Two Israeli actors of Iraqi origin have founded a multicultural repertory theatre dedicated to staging the heritage and forgotten stories of Jews from Arab lands. The project is called 'Shahar' (Dawn). Actor Uri Gabriel and actor and playwright Gilit Yitzhaki were inspired to start their project following the success of 'Eliyahu's Daughters' (Habanot shel Abba), a play about two generations of an Iraqi-Jewish family which survived the Farhud pogrom, escaped from Iraq and came to Israel. The play, which was written by Yitzhaki, has been playing to packed houses up and down the country. Introducing the Shahar project in a Facebook video clip, Uri Gabrieli says:" this is the dawn of a new day!״ He and Gilit Yizhaki have set up a website (English version available - click top right) to attract funding. Backers purchase tickets from the website for a play to be staged in February. The aim is to collect the 120, 000 shekels needed to finance Shahar's first production. If the target is not met, contributors will receive a refund. The next production, The Rebel from Tetran, will be based on Salim Fattal's memoir In the alleys of Baghdad. Shahar will also run workshops, discussions and social activities. Cynthia Kaplan Shamash was just nine when she was taken alone into a room by the Iraqi secret police and accused of spying: her interrogators dismembered the doll she was clutching to see if it had a bugging device inside it. Cynthia still has the doll, a lasting reminder of the antisemitism her Jewish family had endured in the 1970s. They made a failed attempt to escape, followed by five weeks of detention. Cynthia, her three siblings and parents eventually leave Iraq with a passport, but their home is sequestered and their possessions stolen. The day of permanent departure arrives, the children incongruously dressed in their smartest clothes. 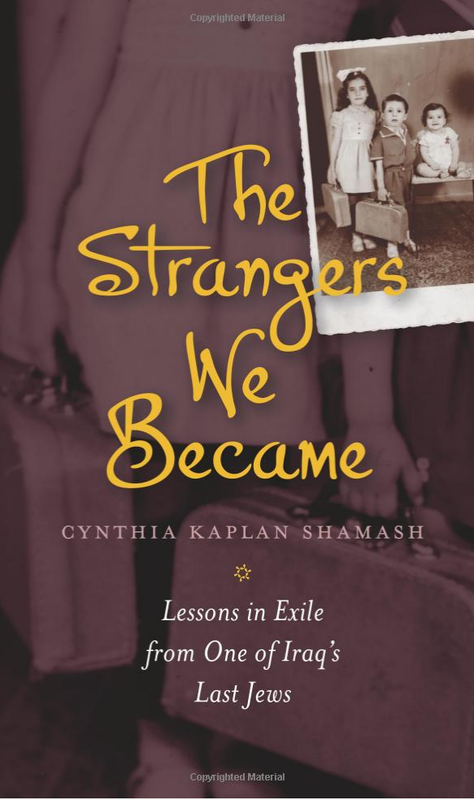 'The Strangers we became: lessons in exile from one of Iraq's last Jews' is Cynthia's charming coming-of-age memoir: she moved from Iraq to Turkey, then Israel, settling in Holland, one of few countries then to offer Iraqi Jews asylum. Cynthia moves to the US to pursue her dentistry studies. Five countries in 12 years. On leaving Iraq, she captures beautifully her first sighting of the sea, the welcome ringing of 'phones - Jews were not allowed telephones in Iraq - but also the estrangement of exile in the West. Perhaps because they hoped their father stood a better chance of finding a job, the family choose not to join their raucous relatives in Israel and resettle in Holland instead. The small number of Jewish refugees from Iraq are housed in a dour Amsterdam apartment block with Surinamese immigrants for neighbours. Mastering Dutch is difficult. Cynthia's Jewish school is no less alien and the pupils cliquey and spoilt. Her attempt to to gain popularity by taking up horse-riding literally barely gets off the ground. Cynthia's father is 24 years older than her mother - and sensing the couple's unhappiness, the family's well-meaning social worker sends him away from the family home despite his fragile health. But the separation kills him. Even for unhappy couples, Iraqi custom dictates 'till death us do part'. After her husband's death the widow will not remarry. The refugees must navigate between different worlds: uninhibited liberalism and conservatism, Dutch rationalism and Iraqi superstition. Whereas a Dutch person might offer a visitor a cup of coffee, an Iraqi hostess will cook a whole meal for them. There are later challenges - such as how a girl from a sheltered background might handle boyfriends. Aged 12, like a character from a Bronte novel, Cynthia is sent to live with an ultra-orthodox family in London's Stamford Hill. The experience is not the disaster one might have expected. The religious, if austere, atmosphere gives Cynthia the structure which has been lacking in her life. She returns to Holland determined to do well academically - somewhat more devout than when she left, yet with the confidence to face the world. This is a vivid, witty, exhilarating and at times disarmingly frank, read. Some things are best expressed in Judeo-Arabic, which Cynthia obligingly translates for us. These are the lessons of exile: strive to do well, make your family proud, be optimistic, resilient, and don't look back. Known as “Fuad” to friends, family and among the public, Ben-Eliezer was born in Basra, southern Iraq, in 1936. At age 12, with the founding of the State of Israel, Ben-Eliezer was forced to flee Iraq alone. Traveling by foot with a group of Jews, he headed toward Tehran. He described the journey in detail in 2011 on the Uvda TV program, saying he was beaten repeatedly along the way and rescued from a swamp without his shoes. In Tehran, his mother had told him, there was an aunt who owed the family a favor. For eight months, he recalled, his mother had quizzed him on his ability to speak his family name and the aunt’s address in Farsi. Upon arrival, he made his way to her palatial home, repeated the proper words, and saw the door slammed in his face. In Israel, Ben-Eliezer, who spoke the Queen’s English and accentless Arabic and Hebrew, was drafted to the Golani Brigade in 1954. He fought in the Sinai during the Suez War in 1956 and commanded the Sayeret Shaked recon unit during the Six Day War. Afterwards, serving under then-GOC Southern Command Ariel Sharon, he led many of the cross-border counterstrikes against terrorists operating from within Jordan. In early 1968, Ben-Eliezer set out with 12 men, on two helicopters, toward Petra, the ancient Nabatean palace in Jordan, which Israeli military intelligence claimed was being used as a base for Fatah terrorists. As the lead helicopter landed, the gunmen opened fire, wounding Ben-Eliezer and the military correspondent Ron Ben-Yishai, who described the event in an article for Ynet. Bleeding from a bullet wound to the ankle, he directed the second chopper to safer ground and radioed Sharon, saying, “There is a pretty big enemy force there. I can continue the mission but it’s borderline…your call.” He did not mention that he [and Ben-Yishai] had been wounded in the initial approach. Later, in the mid-seventies, he was one of the first Israelis to travel covertly to Lebanon and establish ties with the Christian Phalange forces there. Shai Tsabari: This is a text from a 1,000-year-old prayer book, the Saadia Gaon Siddur. Most contemporary Hebrew-speakers have trouble understanding the words, but there’s something about their rhythm which is almost like rap and made me want to set them to music. A-WA, who are really successful in the United States, sing on this track. We performed in Krakow together. It was their first time outside of Israel, and they asked me for tips ahead of the show. Today they could teach me. After completing his military service at 21, Tsabari began attending classes at the Rimon School of Jazz and Contemporary Music north of Tel Aviv. Only then did he realize how organically musical his childhood was. But he also realized that the Israeli music scene of the mid-’90s had little room for his style. His grandmother’s singing, it turned out, was completely unrelated to Western musical scales he was learning. In class, he was given modern lyrics to compose a melody to. He sang it as he would verses from the Torah, complete with the traditional Yemenite phrasing. “That’s your safe space,” the teacher told him. “Leave it.” Tsabari felt that that space was his calling. He left the music school instead. Tsabari spent his 20s struggling with the desire to make music. He worked as a cook and a magazine editor, always flirting with music on the side. Crucially, he worked as an assistant to Nitzan Zeira, head of the music label Nana Disc. Zeira published albums by some of Israel’s top recording artists, while Tsabari knew exactly how much milk they took with their coffee. In 2007, Berry Sakharof, the closest thing to rock royalty that Israel has, was looking for someone to do back-up vocals for a project he was working on with the musician Rea Mochiach. Called Adumey Hasefatot, or Red Lips, it was an evening of poetry by Solomon ibn Gabirol, set to music by Sakharof and Mochiach. Zeira recommended Tsabari, who showed up for a week of rehearsals. “That week changed my life,” Tsabari told me. “It was like opening a door and stepping into paradise. I was working with world class musicians on real Jewish avant-garde.” The trend of rock musicians using piyutim – classic Jewish liturgical poetry – whether as raw material or inspiration was at its height by that point. Red Lips took the trend to the next level, fusing rock, jazz and a thousand flavors of Middle Eastern music into the mix for what was to become a landmark concert tour and album. There has recently been a flurry of reports (including on Point of No Return) that Sassoon Heskel’s home, the “House of Dreams,” in Baghdad was destroyed earlier this month. Researchers for Diarna, (the geo-mapping project), inside and outside of Iraq have confirmed that a house once belonging to Sassoon Heskel was destroyed, but the “House of Dreams” still stands. Sassoon Heskel, the one-time finance minister of the Republic of Iraq, had two residences in Baghdad, both near the Tigris River and Al-Rasheed Street. People generally only know about one of his houses, and not the other, leading to the confusion. The house most people know about is the house near the Al-Sinak Bridge and Al-Rasheed St., which is known as “the House of Dreams.” Located at 33.328854, 44.403940, this is the house that Najem Wali described in his 21 March 2011 article “A visit to the house of dreams” and which Diana S. describes in the post-script of “Sassoon Eskell and the House of Dreams” posted to the Point of No Return blog on 13 September 2011. The House of Dreams had an interesting history after the Ba’ath Party came to power in Iraq. The House was used for a number of different purposes: as a telephone exchange, a theater, army barracks, and most recently and currently, the offices of the Iraqi Independent Film Center. At this point, we can confirm that this house was not destroyed. The other house in Baghdad that belonged to Sassoon Heskel was located near the Al-Ahrar Bridge and Al-Nahar and Al-Rasheed streets, this is the house that was recently destroyed. An article in the Arabic language version of Russian Times about the destruction of the house states that it was located near the Al-Ahrar bridge. Further corroborating this, is the statement of a government employee commenting in this video that the destroyed house was nearby the house of Albert Sassoon Heskel. Additionally, the footage of the destruction in the video, corresponds more to the general scenery of this other house than the House of Dreams. See here for an image showing the house of Sassoon Heskel and the house of Albert Sassoon Heskel, with the House of Dreams located some distance away. Update: the local Louisville JCRC has denied the news, stating: "this rumour is false. We resettled one Syrian family but they are, most assuredly, Muslim. " A small Jewish community in the USA has reportedly secretly taken in three Jewish families from Syria. Point of No Return has learnt that a Conservative synagogue in Louisville, Kentucky, has allegedly worked with the local and federal government to allow the families - 13 people in all, including seven children - to emigrate to the US. The families had been living in Damascus until four months ago. They entered Sweden as Christian refugees. They are described as able to speak several languages and were well-to-do, having done business with the Assad regime. Louisville, which has one of the US's largest refugee centers, has a population of about 7, 000 Jews. Most are Reform and all the synagogues are Ashkenazi. August 23, 1929, marked the beginning of two days of murderous rioting against the Jewish population of Hebron. More generally, it marked a week’s worth of disturbances in British-controlled Palestine, in which Arabs attacked and killed their Jewish neighbors, with there being some attacks by Jews on Arabs. At the end of a week of violence, 133 Jews were dead, and 110 Arabs had been killed, nearly all of the latter by British security forces. By far, the worst of the violence against Jews took place in Hebron, at the time a city of some 21,000 residents, of whom some 700 were Jewish and the remainder Arab Muslims. The Jewish population was divided into Sephardi veterans, whose ancestors had lived in the ancient city for hundreds of years and coexisted peacefully with the Arab majority, and Ashkenazim, who had begun arriving from Europe in the mid-19th century. In his recent book “Year Zero of the Arab-Israel Conflict: 1929,” Hebrew University lecturer Hillel Cohen suggests that for the Palestinian population, the distinction between the Sephardic veterans and the Zionist newcomers lost its significance in 1929. From that time, whatever their respective individual ideologies might have been, all were seen as part of a movement that intended to create a Jewish majority, if not an actual state, in the land. Among the Jews too, as they became a target for Arab violence, it was inevitable that they became more defensive and insular, even if they personally believed the land could be shared. The mutual fear and suspicion received a big push from Haj Amin al-Husseini, the grand mufti of Jerusalem at the time. In statements that will echo with familiarity to contemporary ears, he spread the idea that the Jews intended to conquer the Temple Mount and to desecrate or even destroy Al-Aqsa Mosque. If you are in the UK and own a TV, tune in to Channel 4 tonight for the first instalment of the Israeli TV series, The Beauty and the Baker. Girl meets boy - Noa, a gorgeous and famous Ashkenazi model, falls in love with Amos, the son of a Mizrahi baker. Aside from being a hugely entertaining romantic comedy - the show has a grittier side which will appeal to a British audience, says the Daily Telegraph. The show's writer and creator Assi Azar says British viewers will be introduced to the tension underlying Israeli society - Noa’s family is white Ashkenazi, while Amos’s is Yemeni. The Beauty and the Baker, has been picked for British audiences after it became the number one show in Israel when it first aired in 2014. The fact that the cast are easy on the eye must have helped too. 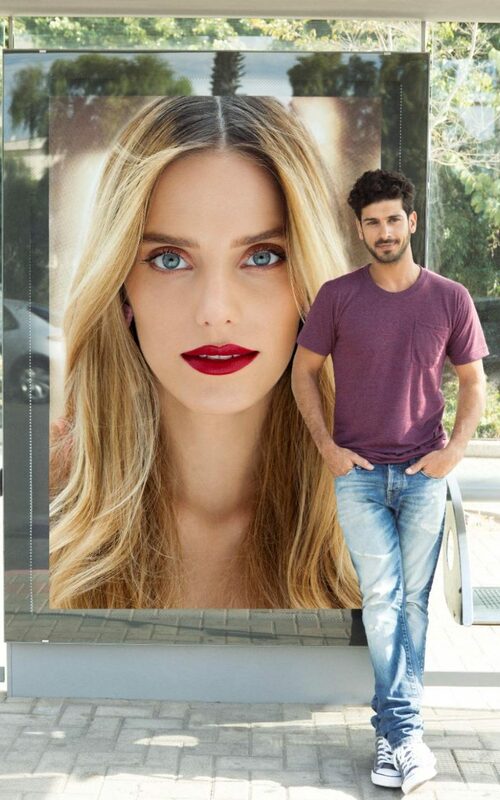 The principal story line includes Ashkenazi model and heiress Noa Hollander fall for humble - if incredibly *ahem* hot - Sephardic baker Amos Dahari when their worlds collide on a night out in Tel Aviv and it will be the first time a Hebrew language drama has ever aired on a main terrestrial channel in the UK. However, the country certainly has some form producing compelling dramas. Homeland was originally an Israeli series, made by the same production company as this latest venture. So why are we going to fall in love all over again with this middle eastern take on a classic? The language and the country could be seen as a mere sub–plot, for writer and creator, Assi Azar, ultimately this show is the age-old question of whether a somebody can make it with a nobody which is at the heart of its appeal. “Most of us are like Amos, not Noa,” says 37-year-old Azar, who counts himself as straddling the divide having been born the son of a baker and gone on to become a hugely successful TV star in his home country. “It’s the story of what happens when a very rich and famous woman falls in love with a simple guy. Tzabari, on the other hand, argued that when Jews from Arab countries immigrated to Israel they were “stripped” of their Arab identity. The issue of whether or not his parents, who immigrated to Israel from Yemen, saw themselves as Arabs is irrelevant, he said, since that generation engaged less with identity issues. To Tzabari, an Arab is someone who was born in an Arab country and who speaks Arabic. The fact that Tzabari doesn’t speak it himself derives from the fact that he was subjected to “the Israeli identity press” that sought to “defend” itself against “Arabness.” It did not change the fact of his Arab identity. The term “Arab Jew” was coined only in the 1990s, according to Tubul, by “intellectuals from the Israeli Mizrahi left” trying to deliver a provocative message about the erstwhile close cultural ties between Jews and Arabs in their countries of origin. Intellectuals from the Mizrahi left did and do use this identity category, but they did not coin it in the 1990s, or even in the ‘70s. The term has a long history and it has been written about at length by scholars from different fields (such as Moshe Behar, Lital Levy, Yehouda Shenhav and Ella Shohat). In response to the debate between Tzabari and Tubul, the poet and author Almog Behar published a piece (in Hebrew) on Haokets, a blog site that calls itself a “critical platform on socioeconomic, political, media, cultural and other issues in Israel and beyond.” Behar writes, for example, that before Islam, Arabs were the inhabitants of the Arabian Peninsula and, as attested in the Gemera and in Arab sources, there were certainly Arab Jews. In later periods, too, there were Jewish intellectuals — in medieval Spain and during the Arab enlightenment, from the late 19th century to the middle of the 20th century — who saw themselves as Arab Jews. “Arab Jew” just might be the most annoying or infuriating word pair in Israeli public discourse. Say it and you’ve marked yourself as a secular leftist, a traitorous toady, a deceitful dreamer and, worst of all, an anti-Zionist. And now, dozens of historians, semi-sociologists and “authentic” cultural informants of the “we lived alongside the Arabs” type are roped in to remind you: “Hey, there never was such an identity, it’s an invention!” Leftist readers would do well now to pour themselves a glass of water, sit down and buckle up. It’s true. “Arab Jew” is a fabrication. It’s inaccurate to argue that there never was such a category but one must admit that most Jews who lived in Arab countries never regarded themselves as Arabs. The few who did came mainly from the Mashreq, the Arab east, not the Maghreb, North Africa. Even they enjoyed only a brief grace period as Arab Jews before they were forced to decide, to swear allegiance to one nation, one state. And even then, although many of them lived an Arab existence, Arab Jew was an invented identity. So, what’s the big deal? What identity isn’t an invented category? What identity is “natural”? Even a person’s sexual orientation become a fabricated category once they define identity. Homosexuality as sexual practice is one thing and homosexuality as identity is something else entirely. The same for heterosexuality. In other words, identity is always an imaginary category, a fabrication that has been “naturalized,” its imaginary origins blurred so that it eventually seems “natural,” an identity one is born into. Even Judaism, as ancient as it is, did not always exist. There was a particular point at which it appeared, and a historical point at which it already existed. And like every other identity, Judaism has never been static. It disintegrated and was reassembled, constantly changing and crystallizing. The Judaism of today is unlike the Judaism of the pre-Talmudic or of the pre-Mishnaic era, and that of the First and Second Temple periods. That’s a good thing, since like any other identity, Jewish identity presumably would have withered and died had it remained fixed. This is also true of Arab identity. It began as an ethnic identity of inhabitants of the Arabian Peninsula, became a cultural-linguistic identity of all speakers of Arabic and eventually turned into a pan-Arab political and national identity. Jews, incidentally, were not easily accepted into this club, despite its secular character. Like loyalty to a single God, like fidelity to a single partner, nationalism demands from us loyalty to a single nation and a single state. But as it turns out, most of us are quite disloyal. Our identity is more complex than the narrow, meager, monolithic nature of the national idea. Human beings are much more complex than any single idea that they hold. Culture and language have great power over our spirits, often much more than any ideology. 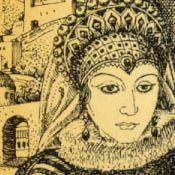 I often find myself returning to the writings of the Egyptian-Jewish author and essayist Jacqueline Kahanoff (also spelled Kahanof or Kahanov) and the Levantine option that she proposed. Kahanoff (pictured right) was born in Cairo in 1917. Her father had emigrated from Iraq as a child, while her mother’s family was from Tunisia. She was raised Jewish in an Arab Muslim country, where she studied in a French school and had an Italian nanny who was followed by an English nanny. Each of the cultures and languages to which she was exposed remained with her to some extent. The option that she suggested was multiplicity: of cultures, of languages, of influences and possibly even of identities. The Levantine world, wrote Matalon, is a world that is constantly reborn and reshaped. It is shaped according to the situation, according to the person you are facing and according to the hegemonic forces at play. Kahanoff’s political and social positions are much more complex than the intolerable arbitrariness of an unambiguous choice of an all-embracing ideology, a choice made in an uncompromising manner, oblivious to reality. These should not be dismissed in order to become apolitical. On the contrary, one should rise above such considerations and reexamine and reformulate one’s political positions, instead of abandoning everything to some overarching ideology. Like all identity categories, Arab Jew — like Mizrahi Jew or local or even Ashkenzi, to the dismay of some people, contains some political ideas. It wasn’t difficult to distinguish between the political leanings of Tzabari and Tubul. Their discussion of identity was based on clear political stances, whether in regard to Palestinians and the Arab world, or with regard to Israel’s place in the region. Thus, just like a political position, identity is also something a person shapes for himself, creating and imagining and reinventing. I’m not lying when I move from one position to another. It’s the constant motion between subjective positions, natural in my opinion, that defines the Levantine existence. 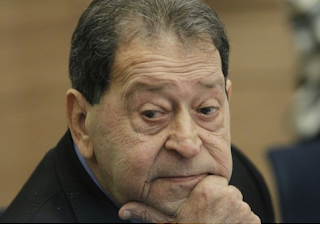 Tubul and his supporters criticize Tzabari and others who propose an Arab-Jewish identity for their submission to an Ashkenazi dictate. They argue that this is only an identity of defiance, a response to the political right. This seems strange to me, since being a Mizrahi Jew also means adopting an Ashkenazi viewpoint, yet it’s an important category regardless. All nationalist definitions in this region are a reaction to a Western colonialist dictate, but they are such significant factors that we deem them natural. If an Ashkenazi perspective so troubles locals, there is nothing like an Arab-Jewish identity that will stand up to this and to the great fear invoked by such an identity, as expressed for example in the words of Ben-Gurion who said, upon the arrival of immigrants from Arab countries: “We don’t want Israelis to become Arabs. We must fight the spirit of the Levant, which corrupts individuals and societies, and preserve authentic Jewish values which were formed in the diaspora” or in the words of Abba Eban, who said that “our goal should be to instill Western values in them and not let them drag us into an unnatural Oriental existence.” (Both quotes are from Ella Shohat’s “Taboo Memories, Diasporic Voices,” Duke University Press, 2006). An Arab-Jewish identity displeases Israel’s right wing, identified as Mizrahi, but it certainly doesn’t please the left, which is considered Ashkenazi. There are opponents on both sides of the spectrum, wanting, in the name of history, to silence, mock or dismiss it. But this identity persists, as it has done throughout history. It remains marginal, not part of the mainstream discourse. Zionism too was not the dominant approach among Jewish communities around the world. The category of Arab-Jew is not based only on contrariness. Like every other identity, it does contain such an element. What identity is not build on this? You worship many gods, so we’ll worship one; you sanctify wine and see it as the blood of Jesus so we’ll forbid drinking alcohol; that’s how it always begins. Then, further content is added, less contrary, something which is “ours.” The Mizrahi intellectuals who identify as Arab Jews don’t pose their position only in opposition to the right. They impart content into this identity on a daily basis. They research, learn and teach, filling gaps which were formed by their sundering from the Arab world. In the nonacademic sphere this is performed by singer Ziv Yehezkel, as was previously done by other singers over the years. All of these not only impart Arabness and the Arabic language into the Israeli and Jewish world, but they also impart Jewish and Israeli content into Arabness. In effect, they are the ones who are realizing Jewishness not only in its Arab aspects but mainly in its local and regional character. However, one cannot ignore the fact that in the Arab world there is increasingly talk of how Jews were once part of that world. This is reflected in TV shows, lectures, media reports, documentaries and other programs that were unimaginable 20 years ago. It’s okay, then, if we feel ourselves to be locals, sometimes Mizrahi and sometimes Israeli, at other times more Jewish. It’s okay if some of us feel identify as Arab Jews, without anyone mocking or dismissing this identity. There is room for all of these. Not in the name of postmodernism but in the name of simple and basic humanity. A few weeks ago Point of No Return quoted a report that land in Algerian-Jewish cemeteries was being expropriated as a result of French and Algerian government plans to amalgamate cemeteries and transfer graves in Algeria. Over 1, 000 people signed a petition expressing their fears that Jewish graves might be desecrated. The Consistoire has insisted that any exhumation be done by hand and under the supervision of a Jew. The bones must be wrapped in a shroud and reburied in a separate coffin and where possible identified with a plaque. There must be a gravestone for every six exhumations. The transfer must be done to the nearest amalgamated Jewish cemetery. All the Consistoire's demands have been accepted by the French government, it says. 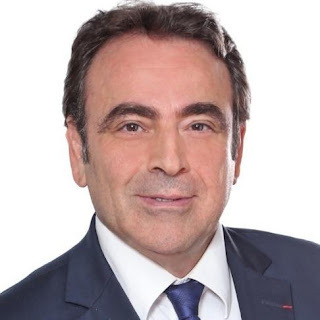 In June 2016, Consistoire president Joel Mergui issued a statement that since 2009 the Consistoire has been involved in official transfer plans (France is still in charge of the Jewish and Christian cemeteries in Algeria) . The Consistoire established a Commission to coordinate the renovation and preservation of the Jewish cemeteries. It carried out an inventory in 2012. Many of the graves are in a derelict state, overgrown with vegetation and subject to earthquakes, but none, says the Consistoire, have been desecrated and no tombstones vandalised. 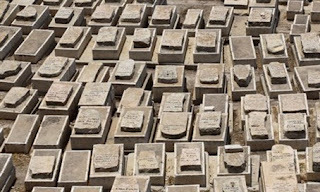 The Consistoire says the Jewish cemeteries will be renovated and gravestones repaired, walls built around them and a warden (most often the same person supervising the adjoining Christian cemeteries) appointed to maintain them. What will be done with the land released as a result of the transfer project? The Consistoire wants to see only public projects built by the Algerian authorities - parks, schools or hospitals. Whether this will actually happen is an open question. Sydney Assor, a leading member of the Moroccan Jewish Community in Britain and a member of the British Board of Deputies, has been made a Commander of the Wissam Alaouite. 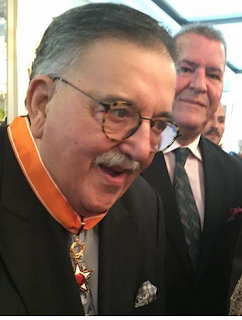 The award is the highest Moroccan honour accorded to a foreigner. 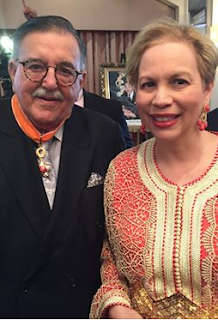 It was conferred on Mr Assor by the Moroccan Ambassador to the UK, Princess Lalla Joumalla. 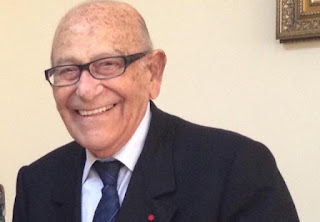 Mr Assor has devoted much of his life to interfacing with the Moroccan government about Jewish affairs. Recently, he visited Tunisia and had an audience with the president. He calls Moroccan Jewry "a shining example for successful coexistence between Jews and Muslims". Mr Assor has been quoted as saying that he never had trouble defining his identity as a Moroccan Jew while living in Morocco, and that real persecution in his lifetime took place only during the Vichy epoch. He met prejudice when he moved to England, mostly by fellow Jews, who considered Moroccan Jews uneducated, politically immature and socially inept. He conceded that the Jewish community did have its struggles in Morocco just as anywhere else, but declared that contemporary Moroccan reality includes Jews enjoying full civic rights and shared civic dignity. Assor attributed this fact to the inclusive policy pursued by Kings Mohammed V, Hassan II and Mohammed VI of Morocco. 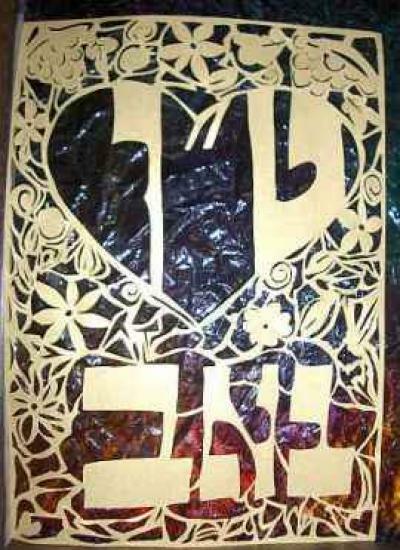 Today is Tu 'Be Av, the Jewish Valentine's Day. In searching for a description of how Jews in Arab lands celebrate this day, I came across an alternative explanation from Shlomo on the Tunisian-Jewish blog Harissa: : it's all about cutting trees, breaking up axes and serving the Temple in Jerusalem. Why is this festival so important? At the time of the Beit Hamikdash (the Temple in Jerusalem), there was a need to keep a fire burning on the altar. Trees were cut down for this purpose from the month of Nissan (the month of the festival of Passover) until 15 Av, because it is the hot season and the wood dried out well. The wood had to be free of worms. But from the 15th of Av, it is less hot and there is more a risk that the wood might contain worms, which would make it unfit for purpose. Tu Be'Av was therefore the date when it was no longer necessary to fulfil the great mitzvah which consisted in preparing the wood of the altar, and so this day became a day of celebration. But this reason seems obscure. How does finishing this work justify such great joy? Tu Be'Av is the opposite of Tisha B'Av. Tisha B'Av is the day of mourning par excellence, while Tu B'Av is the day of joy par excellence, and both of them are related to the Beit Hamikdash: mourning the 9th of Av because of the destruction of the Temple, the joy of the 15 Av linked to its construction and its existence. Jews can no longer serve a temple that is destroyed, while cutting wood, in contrast, gives the temple its entire raison d'etre: to be the house of God, available to conduct the service. This is why the joy was so great that day. (...) According to this explanation, we may understand why this day of Tu Be'Av is called "yom tevar magal", "the day the axes is broken"; because on that day, the axes that had been used to cut trees were broken up. In Afghanistan, the report listed only one Jewish person as a resident of the country. In Yemen, the Jewish community’s predicament is even more dire. Locals in Amran continue their “harassment of Jewish community members,” the report said, “including by throwing stones and coercion to convert to Islam.” Out of fear for their lives, Jewish students continue to stay away from public schools even as attempts to establish private Jewish schools are blocked. The media in Muslim majority countries, the report found, plays a large role in contributing to antisemitism and antisemitic forms of anti-Zionism. In Turkey, an antisemitic film — which “paints the Jews as the country’s biggest enemy” — was “broadcast repeatedly on private television channels and posted on the websites of several pro-government media outlets,” the report found. In the country’s legal system, Jews in Saudi Arabia are also largely discriminated against. For example, should a court rule in favor of a Jew in a case of compensation for accidental death or injury, the Jewish plaintiff “is entitled to receive only 50 percent of the compensation a Muslim male would receive,” the report said. If you want the short answer for why the Arab world is sliding into the abyss, look no further than this little incident. It did itself in chiefly through its long-abiding and all-consuming hatred of Israel, and of Jews. That’s not a point you will find in a long article about the Arab crackup by Scott Anderson in last weekend’s New York Times Magazine, where hatred of Israel is treated like sand in Arabia—a given of the landscape. Nor is it much mentioned in the wide literature about the legacy of colonialism in the Middle East, or the oil curse, governance gap, democracy deficit, youth bulge, sectarian divide, legitimacy crisis and every other explanation for Arab decline. Yet the fact remains that over the past 70 years the Arab world got rid of its Jews, some 900,000 people, while holding on to its hatred of them. Over time the result proved fatal: a combination of lost human capital, ruinously expensive wars, misdirected ideological obsessions, and an intellectual life perverted by conspiracy theory and the perpetual search for scapegoats. The Arab world’s problems are a problem of the Arab mind, and the name for that problem is anti-Semitism. As a historical phenomenon, this is not unique. 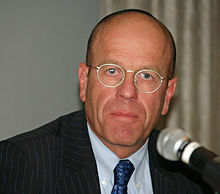 In a 2005 essay in Commentary, historian Paul Johnson noted that wherever anti-Semitism took hold, social and political decline almost inevitably followed. Spain expelled its Jews with the Alhambra Decree of 1492. The effect, Mr. Johnson noted, “was to deprive Spain (and its colonies) of a class already notable for the astute handling of finance.” In czarist Russia, anti-Semitic laws led to mass Jewish emigration as well as an “immense increase in administrative corruption produced by the system of restrictions.” Germany might well have won the race for an atomic bomb if Hitler hadn’t sent Albert Einstein, Leo Szilard, Enrico Fermi and Edward Teller into exile in the U.S. These patterns were replicated in the Arab world. Contrary to myth, the cause was not the creation of the state of Israel. There were bloody anti-Jewish pogroms in Palestine in 1929, Iraq in 1941, and Lebanon in 1945. Nor is it accurate to blame Jerusalem for fueling anti-Semitism by refusing to trade land for peace. Among Egyptians, hatred of Israel barely abated after Menachem Begin relinquished the Sinai to Anwar Sadat. Among Palestinians, anti-Semitism became markedly worse during the years of the Oslo peace process. Although Jews had been settled in Algeria for 2,000 years, the dissolution of their communities took place in just three months - when the modern state of Algeria declared independence in 1962. 1830 French invasion of Algeria. All natives declared equal under Article 5 of the surrender of Algiers. 1845 Consistoire becomes religious governing body of Jewish community. 24 February 1862: appeal court deems Jews of Algeria have French nationality. 14 July 1865: senatus-consulte declares both Muslims and Jews to be French. They may serve in the French army. 24 October 1870: Cremieux Decree declares Jews to be French citizens (with the exception of those in the M'zab south), their personal and civil status governed by French law. 1890s: Far-right French backlash demands abrogation of Cremieux Decree. May 1897: looting of Jewish quarter of Mostagnanem and Jewish shops in Oran. Four far-right supporters of antisemite (anti-Dreyfus) Edouard Drumont elected to parliament. 1914: Algerian Jews drafted into French army. 1929, 1933: Jewish - Muslim clashes, some provoked by far-rightists. 3 - 6 August 1934: pogrom in Constantine. Shops looted, 25 Jews killed in city and district. Army does not intervene. Economic crisis aggravates relations between Jews and Muslims. October 1940: Vichy regime imposes statut des juifs. Cremieux Decree abrogated. June 1941: quotas on jobs and in education. November 1942: Jews lead Algerian resistance. October 1943: Cremieux Decree reinstated. Jews can serve in the French army. 1956 FLN demands that the Jewish community affirm its loyalty to the Algerian nation. 1st November 1956: 70 attacks take Jewish community by surprise. Between 1954 and 62, declares its opposition to violence. Jews die, some join the pro-French militia, the OAS. 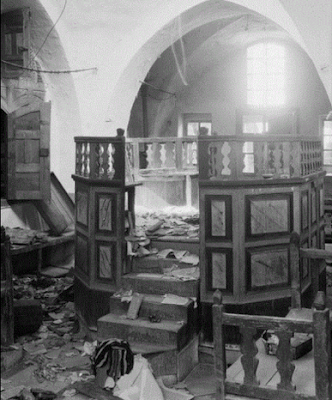 12 December 1960: Algiers Great synagogue ransacked. 1961: Jewish cemetery of Oran vandalised. Jew stabbed to death on his way to New Year synagogue service. 1961: musician Sheikh Raymon Leyris murdered. 3 July 1962: Algeria declares independence. France declares it will repatriate all French citizens, even those of non-French descent. 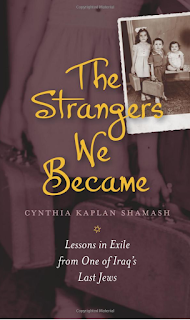 May - July 1962: mass Jewish exodus. of 160, 000 Jews, only 4, 000 remain. 135, 000 Jews flee to France, 10, 000 choose Israel. March 1963: Only Muslims (those with a Muslim father and grandfather) may acquire Algerian nationality. 1971: less than 1, 000 Jews remain. 2011: last Jew assisted by Joint Distribution Committee dies. A historian and conservationist, fittingly named Abraham Benhur, made a startling discovery on his farm in Kerala. Hidden underground were ancient burial chambers unlike anything he had ever seen before. A little bit of digging, both physical and academic, revealed that the tombs on his property could be carbon dated back to the year 300 BC. The burial chambers were arranged in an East-West direction, meaning these could only have been the tombs of ancient Christians or Jews. Since the tombs predated Christianity by a few hundred years, Abraham surmised that these were the remains of one of the Lost Jewish tribes of Israel, which had travelled to India so many centuries ago. Look who has waded into Israel's culture wars in the wake of the Biton report - maverick politician Avrum Burg! Burg has travelled a long and winding road, from religious pillar of the establishment as speaker of the Knesset to French anti-Zionist member of the Arab Hadash party. Some of what he has to say in this Haaretz article is worthy, but the whole lacks context, failing to take into account the seminal Mizrahi experience of ethnic cleansing from the Arab world - the Jewish Nakba. My comments are interspersed in italics (With thanks: Lily). Although the Ashkenazi culture and institutions are part of our dwindling interface with the West, they are also barriers between us and our neighbors, near and far. Why should Ashkenazi culture and institutions be barriers between Israel and its neighbours? A similar culture and language does not prevent Taiwan and China being at daggers drawn, West and East Germany to have been enemies for 40 years, or Ukraine and Russia to be at war. 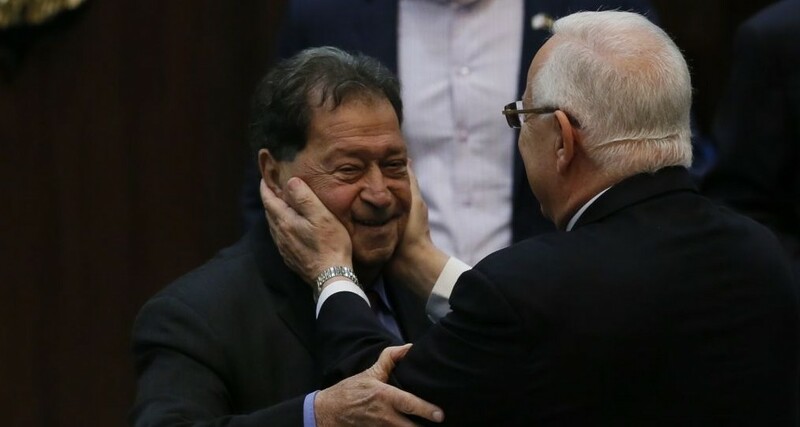 When the dust finally settles from the fervor and stupidity surrounding Erez Biton and Gidi Orsher, when the exploiters and the inciters fall silent, it will be clear that Israeli society is indeed undergoing a deep and profound change that is moving us from west to east. While Burg has been wrestling with his tortured conscience, the Mizrahification of Israeli culture and society has been happening imperceptibly over the past 40 years. The Biton report serves only to formalise it in the education curriculum. Israel in 1948 was established using frameworks that were imported from Jewish and other, general communities of Central and Eastern Europe. The institutions, the personalities, the culture, the heritage and the customs all came from there. But once the state was founded it emerged, alas, that most of the masses that were expected to populate it had been annihilated. Thus the Zionist revolution made a sharp turn toward the Jews from Islamic countries. It was not what had been planned, but a post factum constraint; human replacement parts for the new state that needed Jews to populate it. In contrast to the founders’ sour expression while they watched the land being flooded with unfamiliar human material with strange customs and languages, those who arrived here could barely contain their joy. This initial encounter was also the seminal point of division. 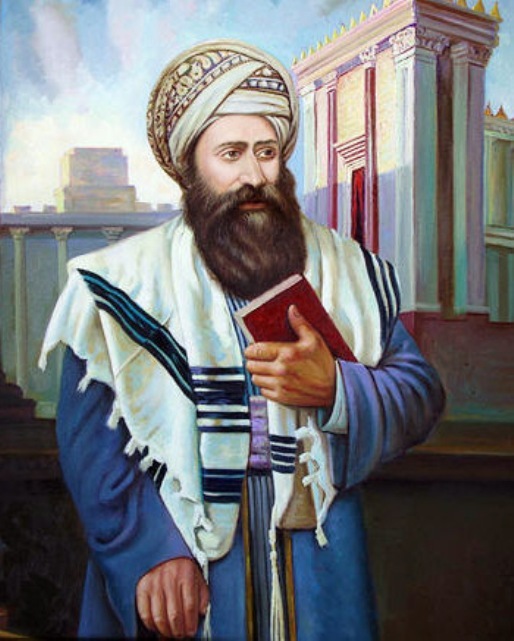 While Ashkenazi Zionism had been a defiant rebellion against Judaism, for nearly all the Jews of the Islamic lands Israel was a fulfillment of their prayers and of their yearning for Zion. It pitted the Zionism of revolution against the Judaism of evolution. To mediate between the two, the fiery melting pot became the heart of Israeli identity. The system did its best to melt everyone together and reform them into a Hebrew, all-Israeli mold. Over time it became clear that this furnace didn’t work; identities were neither melted nor erased. Not true - perhaps Burg has not noticed from his French look-out tower, but the Israeli melting pot has been a resounding success. Intermarriage has been running at 25 percent and Mizrahi/Ashkenazi distinctions will soon be a thing of the past. Israel is now dealing with the resulting burns, and its interethnic struggles are an effort to find a balance between its identities. This is the larger context in which we periodically have outbursts of "tribal" expressions and vitriol, whether from the late Ovadia Yosef and Dudu Topaz, or from Shlomo Benizri and Gidi Orsher, may they live long lives. Oblivious to the racism embedded in their comments, each is trying swing the pendulum of Israeliness in their direction. For many years Israel was substantially Ashkenazi, and its power relations were tainted by racism and ethnic-based rewards. After years of distortion, there are those who seek to push society in the opposite direction. This is not a bad thing; it may even be good. But amid the inherent tension between the founders and the joiners who were hurt, Israel is losing its way. We have become a disconnected place; we have distanced ourselves from both ports of departure – in the Christian countries and the Islamic ones – but we’ve never reached our destination port. Our society and our state are democratic in character but are also a natural part of the geographic and cultural fabric that surrounds us. Our obsession with definitions is not just a security need, but an ongoing effort to perpetuate the separation from the Middle Eastern port at which we refuse to dock. Why should Israel need to to dock at a destination Middle Eastern port? Israelis do not want to return to being 'dhimmis' in the Arab region. Israeli culture is a work in progress - a synthesis of all sorts of influences, including Middle Eastern. That's what makes it so dynamic and interesting. Part of the responsibility for this rests with our neighbors, but a substantial part of it rests heavily on our national shoulders. The founders, who spoke Yiddish and Russian, never succeeded in really connecing to the Jews from Arab lands, and certainly not to the surrounding Arab environment. For Avrum Burg, it all about the Ashkenazi elites making amends for 'discriminating' against the Mizrahim in the 1950s. Mea culpa, mea maxima culpa! Although the Ashkenazi culture and institutions are part of our dwindling interface with the West, they are also barriers between us and our near and more distant neighbors. The time has come to dismantle some of them, to rebuild some of them, and to establish different frames of reference, both internal and external. A more Mizrahi Israel has a lot to gain. I believe that yielding the hegemony of society’s Ashkenazi component and recognizing the injustices toward the immigrants from Islamic countries will facilitate a crucial airing out of outdated and tainted foundations, and eliminate a few of the privileges that never should have developed at all. In an Israel of both eastern and western Jews, there will be new social orders that equalize and cherish both. Israel will respect all the Israeli traditions and legacies, including the eastern and Arabic ones. This revamped Israel will be unable to avoid a crucial conversation with the Muslim societies from whence many of us came. The Ashkenazim, along with their pioneering and entrepreneurial spirit, brought with them Western democracy, the parliamentary system, academia and socioeconomic thought – but also ideological extremism, both religious and political. It is true that Ashkenazi religious orthodoxy is narrow and exclusionary compared to the more easy-going Sephardi tradition, but it is false to claim that Sephardim and Mizrahim may not be politically extremist. Just ask the football fans of Beitar Jerusalem! These are the sources of our contemporary failures. Without a bridge to the rest of the region, we have no sustainable future here. Such an external bridge cannot be built without the heritage of eastern Jewry, and this heritage cannot be sustained without limiting and eliminating parts of the outdated Ashkenazi hegemony. Ah, the well-worn assumption that Mizrahim are a 'bridge' to Arab societies. Burg makes the common, but false, peacenik assumption that by becoming more 'Arab', Israel can make peace a reality. The Israel of the future will be a synthesis between Western heritage and Eastern traditions – a traditional democracy. I don’t think we will ever have a majority here that will favor giving up basic Western values like democracy, rights, skepticism and literacy. Reality, however, will be a lot less secular and more traditional in defining identity and behavior. Agree. But it is hard to see what values, apart from piety, Israel can take from the Arab world. Forgive my cynicism but does Israel really want to import its superstitions, cultural stagnation, sectarianism, barbarism, corruption, gender segregation and intolerance of the Other? Arabic will be a real social language, a shared linguistic space, not just the language of a despised minority and of members of the Shin Bet security service. Here Burg's hidden agenda is showing - to make Israel a 'state for all its citizens'. Mizrahim never spoke the Arabic of the Palestinians but various Judeo-Arabic dialects that are today on the verge of extinction. They were ethnically separate and their cultural values quite different. Israelis’ roots in the countries of this region will be as respected as those in Poland and Russia. Religious customs, no matter how strange they seem, will not be grounds for arrogance or contempt (the grave in Uman is no less problematic from a theological perspective than the grave in Netivot). This model, of an interethnic conversation and an interreligious dialogue both here and abroad, could turn Israel from a place that is chronically ill with conflict to a global model of dialogue between the different and the rival. Today is the day when observant Jews recall the destruction of the Jewish Temples in Jerusalem - Tisha b'Ab. Growing up in Marrakesh, Therese Zrihen-Dvir remembers a day of intense but oddly comical mourning practices. The Dafina blog carries an extract from her book: Derriere les remparts du Mellah de Marrakech. 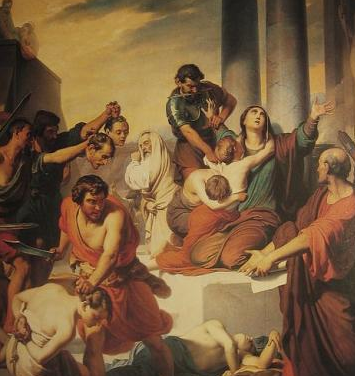 Hannah and her seven martyred Macabee sons symbolise the Jewish resistance to assimilation. They have inspired painters through the ages. I was only eight or nine years old and was horrified at the sight of women in mourning, scratching at their faces and tearing their black clothes as they danced to a macabre rhythm while uttering sharp little squeals. We found it rather comical, albeit distressingly tragic. These sad traditional practices would be repeated on the ninth day of the month of Av, which commemorated the destruction of the Temple in Jerusalem. Myself, I knew nothing of the events being marked on that date. We children copied the adults without knowing or understanding what made them behave in this way. Custom dictated that we should spread ash on our heads, imitate their dancing, punctuated by strident little cries and scratch at our faces and rend our clothing. We continued such sinister folk customs under the noses of our elders without them explaining why we did them. We were simply content to ape them, and that was all that mattered. I remember coming home to my grandparents, my cheeks glowing after making fun of these mourning practices. Grandma scolded me and as a punishment banned me from going out with my friends. When she recovered her composure, I approached her and told her I would never again do such wicked deeds. "But Grandma, I asked,"why do we do these things?" The grandmother then told the child the story of Hannah and her seven sons, who chose martyrdom rather than abandon their Jewish identity. Two Israeli Olympic athletes thrust into the media spotlight recently are of Mizrahi origin. Yarden Gerbi, a judoka who won a bronze medal at Rio, is of Libyan origin. Gerbi, 27, became the seventh Israeli athlete in history to mount the Olympic podium. She was only the second woman to do so. 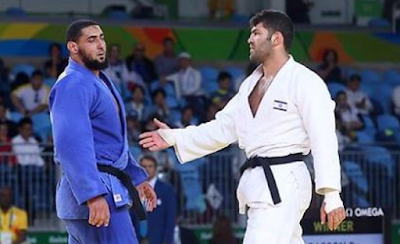 Also in Olympic judo, Ori Sasson found himself at the centre of a political row when his Egyptian opponent, Islam al-Shehaby, refused to shake hands with him. Born in Jerusalem, Sasson hails from an Iraqi-Jewish family. 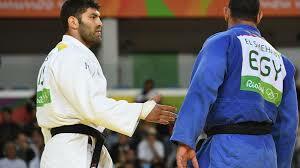 Update: the 25-year-old judoka heavyweight has won Israel's second bronze medal. Catching up on the latest news concerning the Iraqi-Jewish archive: two volumes of undiscovered drashot (sermons) delivered by the famous Baghdad rabbi, the Ben Ish Hai, were found in the archive and have been transcribed and printed in two volumes, titled Birkat Hareiach. Report (using Ashkenazi pronunciation) in Matzav. The manuscript was discovered by American troops among 2,700 seforim and tens of thousands of Jewish documents in a flooded basement of Iraq’s intelligence headquarters after Saddam Hussein’s downfall in 2003. The Ben Ish Chai manuscript was taken to the United States where the partially damaged manuscript was restored and transcribed. The Ben Ish Chai we have today is a collection of droshos Rav Yosef Chaim said during only two years of his half-century incumbency in Baghdad. The new one evidently includes droshos that he said during earlier or later years, which were never heard of until now. Nazi radio could have played a key part in inciting the Farhud against the Jews of Iraq, an Israeli academic has claimed. Addressing a Harif meeting in London, Dr Edy Cohen, who is doing post-doctoral research at Bar Ilan university, said that a broadcast from the German radio station at Zeesen four days before the outbreak of the June 1941 pogrom had incited Arab listeners to violence. The broadcast denounced the Jews as traitors collaborating with the British. "The Jews are an abomination. The biggest enemies of mankind are those who believe in the Jews," said the voice. The voice, which opened the broadcast with its trademark,"This is Berlin! Long live the Arabs!" belonged to Yunus Bahri, an Iraqi nationalist with the looks of Clark Gable. Bahri was the first Arab to collaborate with the Nazis, he wrote in his memoirs, and had been broadcasting to the Arab world throughout the 1930s from the Fascist-controlled Radio Bari. He met Joseph Goebbels in 1931. Hundreds of Jews were murdered in the Farhud, which rocked the long-settled Jewish community of Iraq to its foundations. According to Dr Cohen, Yunus Bahri took to the airwaves, as soon as the pogrom was over, to justify it. The task of spreading propaganda to the Arab world was taken over by the Grand Mufti of Jerusalem, Haj Amin al-Husseini, who fled to Berlin from Baghdad after the failure of the pro-Nazi coup of April 1941 led by Rashid Ali Al-Ghailani. 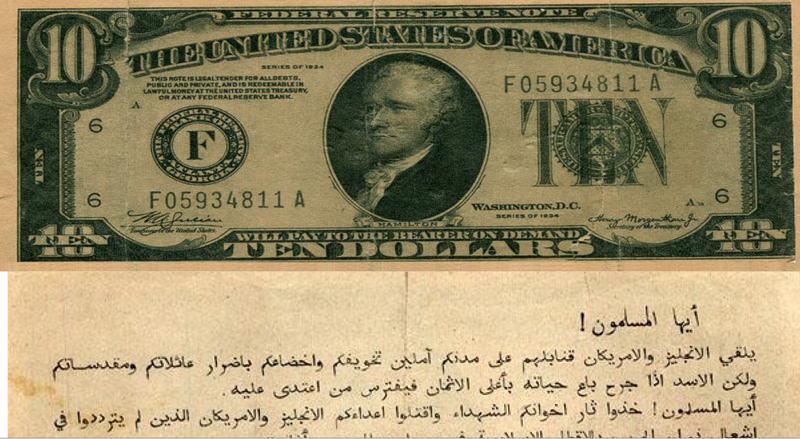 Dr Cohen found examples of print propaganda dropped from the air - replica Dollar or Sterling notes with Arabic messages attached. 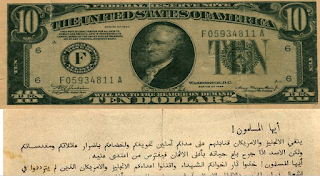 During his four years in Berlin the Mufti was handsomely rewarded by the Nazi regime - receiving $10, 000 a month to run his GrossMufti Buro. Among his lesser-known exploits was to translate a Nazi scientific journal and the works of Alfred Rosenberg into Arabic. The Mufti, who had ambitions to preside, as Fuehrer of the Arab world, over the extermination of the Jews in Palestine and throughout the Middle East, introduced into Islamic ideology the meme that the Jews had killed the Prophet Muhammad. "Whoever kills a Jew will go to heaven," he urged his Arabic listeners. After the end of WWII, Yunus Bahri, like the Mufti, was never indicted for his activities. Always more of an opportunist than an ideologue, Bahri went on to work for the French, broadcasting in Arabic to North Africa. He died in Iraq in 1979. Starting this year, secondary school students will be learning more about Jewish communities in Arab lands, anti-Semitism in North African countries, the 1959 Wadi Salib riots and the Black Panthers of the 1970s as part of their history classes, the Education Ministry announced Monday. The ministry stressed that many of topics relating to Mizrahim (Jews of Middle Eastern and North African origin) already were part of the curriculum, but not a mandatory part of class study. In accordance with the recommendations of the Biton Committee they would now be required topics for the matriculation exams. In junior high school, pupils will study “Spanish Jewry – Between Christianity and Islam,” the story of the Jewish diaspora after the Spanish expulsion; “The Jews in North Africa” – the geographic dispersion after the expulsion, and the difficulties the Jews had in their new countries; and “The Jewish Community of the Land of Israel in the 16th Century” (the Jews of Safed, Dona Gracia and Don Yosef). High schoolers will be learning about the various factors that shaped the fate of Jews in Islamic lands from the end of the 1940s, with a stress on the impact the War of Independence and the establishment of the State of Israel had on the Jews of the Middle East and North Africa. It will be emphasized that over 80 percent of the Jews emigrated from these countries during this period. Most came to Israel while a minority went to other countries (France, Italy, Britain and others). Similarly, this section will address the numbers, status, and general conditions for the Jews of North Africa and Asia as colonialism began to disintegrate, along with the Zionist activities in these countries and the communities’ religious and historic connection to the Land of Israel. They will also study the riots in Haifa’s Wadi Salib neighborhood, where Mizrahi immigrants protested discrimination and police brutality, and about the Black Panthers, a protest movement seeking greater social justice for Mizrahim. The curriculum will include films, slide presentations, and visits to museums and heritage centers, like the Libyan Jews Heritage Center and the Babylonian Jewry Heritage Center, both in Or Yehuda. The Education Ministry said that in most cases the new study plans provide a more in-depth look at topics that were already part of the curriculum, but were often not stressed on the matriculation exams. Now teachers will have to focus on them.